Sometimes you need the right dry fly pattern to catch selective trout. A couple years, ago, my son, Luke, and I were fly fishing the Owyhee River in eastern Oregon during a Pale Morning Dun (PMD) hatch. The brown trout would only rise to a PMD pattern. Nothing else. But when there is no apparent insect hatch, it’s time to pull out an attractor pattern from your fly box if you insist on dry fly fishing. The strategy is to coax the fish to the surface rather than to match the insects on which they are feeding. It’s attraction rather than imitation. And which dry fly attractor patterns do you want in your fly box? If you are new to fly fishing, I have some suggestions, but let me first offer a few disclaimers. First, this is not the definitive list. Another fly fisher’s list will be different, and that’s fine. Second, don’t be fooled by claims of “the only fly that works” or the “best fly” for this river or that river. It’s all a matter of preference. Third, size matters, though this post is focusing mainly on patterns. My default size is a #14 for an attractor pattern, though I’ll go smaller at times (see below). Fourth, I realize that I’m blurring the definition between an attractor and an imitation with a couple of these patterns. So if you’re a veteran fly fisher, there’s no need to get your waders in a bunch. I realize that an elk hair caddis, for example, is an imitation. Yet I will use it as an attractor when there are no caddis flies on the water. Finally, I do most of my fly fishing in the west (Montana, Wyoming, Idaho, Oregon). However, most of these patterns have worked for me in the Midwest, and I know fly fishers who have success with them on the east coast. Alright, here is my list. I’m sure this will land near the top of any fly fisher’s list of favorite attractors. I’ve used this greyish beauty in standard sizes, but a size #18 is my favorite. It can imitate midges or blue-winged olives or mosquitos. 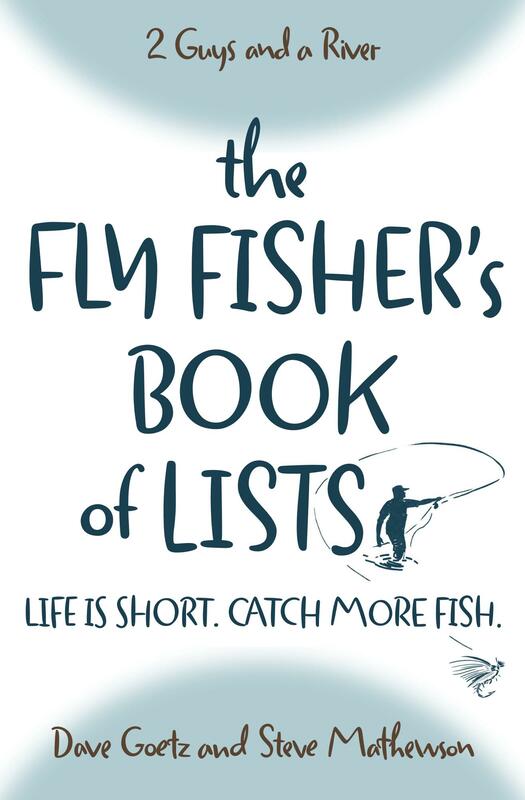 The white post, or parachute, is for you (the fly fisher), not for the fish. It makes a tiny size #18 visible to middle-aged anglers like me. If I had to select only two dry flies, it would be a Parachute Adams and an Elk Hair Caddis. This tan fly (and also comes in a black version) simply looks “buggy.” In a pinch, it can imitate a small hopper or a March Brown. I am fond of it because it takes longer to get water-logged than an Adams. So it works great in faster, choppy water. The elk hair hump and the generous brown hackle at the front of the fly make this float forever—well, longer than a lot of flies which get soggy after getting dunked by a riffle. The red or yellow (or green or purple) underbelly makes it stand out as a trout gets closer to it. There is a whole family of “Royal” flies, beginning with the Royal Coachman — America’s first great fly pattern according to Paul Schullery who wrote an entire book on it! The “Royal” flies have a bright red silk floss middle flanked by two bands of peacock herl. Sounds stunning, right? It is. The Royal Coachman has white wings, while the Royal Wulff uses white calf hair which, in my opinion, makes it float a bit better. The white calf hair tufts protrude from the brown hackle at the front of the fly. Anyway, the Royal Wulff has been a standard pattern for years, and so it sometimes gets forgotten. But it’s still a great option. Another variation is a Royal Trude — tied on a longer hook with a long white tuft of calf hair extending from the front to back of the fly. A friend, John, uses it almost exclusively on the Yellowstone River in Montana and always catches fish whether spring, summer, or fall. My last two flies are more debatable choices. I’ve included the Renegade because it’s the first dry fly I ever used and because it still works. It is an unusual looking fly with white hackle at the front and brown hackle at the rear. Some fly fishers actually fish it as a wet fly (beneath the surface). My friend Arlen swears by this fly when fishing the Boulder River north of Yellowstone National Park. After setting it aside for several years in favor of the attractor patterns I mentioned previously, I’m going to start using it again. I fished with this pattern last summer for the first time at the recommendation of a friend. Technically, this fly is also an imitation. The spruce moth, or Western budworm, returned to the spruce and fir forests of the West in the early 2000s. Even when there are no spruce moths on the water, I like this pattern as an attractor because it is big (easy to see) and has plenty of hackle (not easily water-logged). My podcast partner, Dave, and I did well with this fly last year on the Yellowstone, the Boulder, and on some smaller streams in the Bozeman, Montana, area. These are my favorites, although I could have easily swapped out numbers 5 and 6 for a Stimulator, a Goofus Bug, or a Madam X with its rubber legs. But I like to recall an observation which Bud Lilly made several years ago when he owned the fly shop in West Yellowstone, Montana, which bears his name. During a typical day, he chatted with fifty or more fly fishers who talked about how selective the trout had been on the river that day. When Lilly asked them what they were using, they would say: “The only thing that worked was this little beauty.” Lilly said that by the end of the day, he had seen about fifty different “only things.” So you’ll be fine if you keep your fly box stocked with a few basic attractor patterns. Unless there’s a hatch of PMDs or BWOs or Tricos, a standard attractor pattern just might coax a big trout from its lair. All based upon Norman Maclean’s curiosity theory, perhaps? Great List, I agree with your comments that an imitation can also be used as an attractor. I also use Elk Hair Caddis as an attractor pattern (Great minds think alike). My top dry flies for the North East Adirondacks are 1. Ausable Wulff . 2. The Haystack. 3. The Usual. 4. Quill Gordon. 5. Adams Parachute. 6. BWO. Keep up the great work, I enjoy and look forward to your podcasts. Thanks so much, Glen! I was hoping you’d post your list of dry flies for eastern trout fishing. You’re the expert on that, and your list is helpful. Parachute Madam X w/gold tensil body. (Brown’s tear this up) Parachute Trudes, royal – lime – yellow. Royal Wulff and in yellow. Repeatedly slapping the water with your fly will attract fish too. Mostly I tie these in size 14 and occasionally 12. Size 14/2X long. H & L Varient another tried and true fly. “If it’s buggy and the fish are hungry, they’ll eat it.” Lee Wulff. If you are matching the hatch, and the fish appear to be hitting on this hatch, and you are still not getting strikes, go down in size. General Rules! “Matching the hatch” is a rule of thumb. I have proven Mr. Wulff correct dozens of times. This is more great wisdom! Thanks, Michael. I love the advice from Lee Wulff. And I’m going to try the Parachute Madam X with the gold tinsel body the next time I’m fishing for browns. Hard to believe but you nailed my first four. The basis of the “One Fly” concept inherent in the Tenkara fly fishing world is PRESENTATION. I agree with the flies mentioned. the attracter patterns attract because of presentation, were it a dead drift, a pulse retrieve, even a down stream swing will catch fish. the trick is find a presentation that will trigger the fish to the fly. I have bounced a fly upstream from ripple to ripple and had a brown jump to take the fly. From an avid Tenkara fisherman. Love the Tenkara way. Thanks for posting! Would add a #14 yellow or orange Stimulator for stones & a #12 or 14 black over orange or brown/tan over yellow Chernobyl Ant to my attractor arsenal. TRAILING SHUCK FLIES: Some anglers reading Steve’s article do not know what an attractor or imitation flies are. As Steve said, one fly pattern can fit both categories. Selective trout are triggered on a specific plentiful food source, such as a hatch. Selective trout have tunnel vision and ignore anything else. I love to observe a heavy mayfly hatch with trout rising all around and also enjoy the excitement and challenge of finding a fly to match. That can be the toughest part of an angler’s day. When there are no insects hatching, trout will feed on anything that looks like food. That is when the flies Steve and others suggest can produce the best success. It can also depend on other factors, such as water clarity, weather, location, etc.. So… Selecting the best fly will vary from place to place and time to time. As mentioned, it is probably even more important is the presentation. I have tied some flies to sink at various depths, using bright colored florescent hackle and a couple strands of peacock herl (or other material) trailing the length of the fly behind it. They often produced strike after strike. They may not be a attractive to humans but was very attractive to trout. I also have a few traditional imitations that I also tied with a trailing shuck that were quite productive during a hatch if presented properly. I like trailing shuck flies. Three of us were fishing Oregon’s Crooked River in July where the trout are rather selective. I was fishing dry #16s, one friend was fishing nymphs, and we were hooking very few. Then, almost in disgust, the other guy tied on a #12 Royal Wulff, and Wham! Biggest trout of the day in water we’d all waded and fished through. Go figure. Here in ont. canada the elk hair caddis is the best followed by the parachute Adams. GREAT for specks and browns.